With two performances at Sydney’s Qudos Bank Arena, Queen + Adam Lambert earns the top ranking on the latest weekly slate of Hot Tours (see list, below) with a $3.3 million gross. The band played the arena on Feb. 21 and 22, the second stop on a trek through Australia and New Zealand that recently wrapped on March 6. Produced by Melbourne-based promoter TEG Dainty, the Oceania leg of the group’s 2017-2018 tour covered six markets beginning with Auckland on Feb. 17 followed by the Sydney shows and dates in Brisbane, Adelaide, Melbourne and Perth. The iconic band launched its tour last summer in North America, kicking off in Phoenix on June 23. The 25-city run continued through early August and grossed $30 million from more than 300,000 sold tickets at 26 concerts, according to sales figures reported by promoter Live Nation. A European leg through 23 cities followed in November and December, and Queen will return to the continent for a second leg this summer before its finale in Dublin on July 8. So happy on how many people seen QAL in the United States, that they grossed 30 million!! Now only from Sydney, they grossed 3.3 million from the 2 shows and not counting the other cities in Australia! People all over the globe are loving them and this makes me want to cry ( in a good way). I wrote this yesterday to celebrate my birthday 8 March Singapore date, at Adam Salon. Well, I'll celebrate it again since my birth date is printed here. Oh and had no idea 8/3 is International Women's Day when I wrote it. His song resonates till this day! Would love to know if Adam is paid per performance, or if he has a %-age share in the tour's net earnings. Anyone know? Whoa! Got myself a Bingo 11 ! ... 3+8 and time 4+1+6. BTW.....Happy Birthday, Lam-My. Wish you Health and Happiness! Whoa! Thank you! Nanbert! It's special coming from you! No wonder I got chased by 11! lwl! Nanbert...Oh yes health and happiness very important wishes for me; you hit the nail on the head, didn't miss this time lwl! Well, a bold step you just took. Lam-My....I'm glad it pleased you. Not bold... just common courtesy among Glam sisters. Also, please notice I did not ask you what you meant THIS time by saying you got "chased by 11! "..................NOR do I want to know, LOL. Have a good one....and many more! 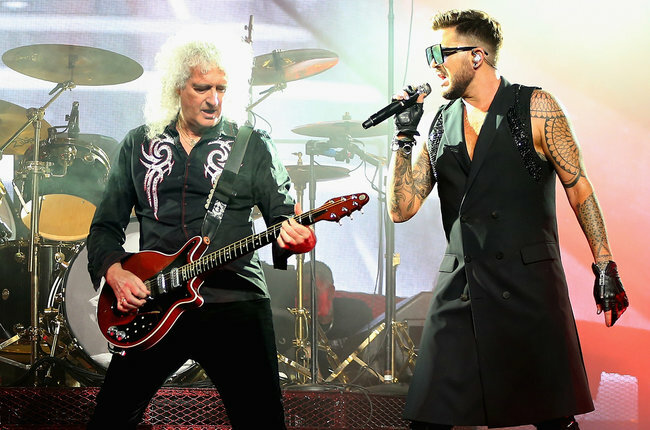 Such great news about QAL's success in OZ! 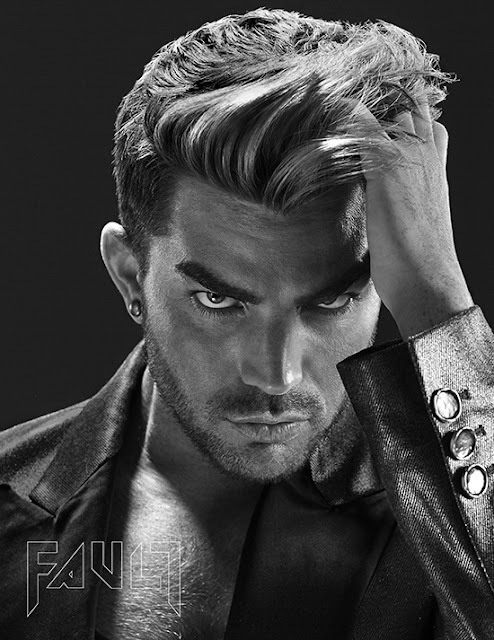 I just hope that all those OZ fans will also support Adam with his own music, too! This video of Adam running circles around Brian gives us a clue how much he earned for this NZ-Aus tour. Looked it up but can't find actual $$$. How about 1 circle represents 1/4 million... I counted er about 4 to 5 rounds. Wah! lol! Aha, Violetglitz also did an excellent job of Crazy Little Thing for QAL Singapore 2016 at our historic Dome WWII site, and Adam's historic bon bon shake in that video. Ooooh-la-la! Lo and behold! What a beautiful surprise! Hey there Lady from White House, I bet you know helluva a lot of juicy juicy lol! Your name Margarita Lady that I gave you is a bit lowly now for your station...how about Lady from White House, a bit more Rock royalty like Adam and Queen. lwl! Well, my High-level Friend played We Are The Champions! Hey Margarita Lady from White House, Adam and Queen are most likely performing as Residents in Las Vegas, he hinted in a video I posted a couple of days back. Talking about long-time...I've actually known you for 9 years, chatting mostly about Adam. 谢谢 sie sie / Thank you! My birthday celebrations are getting more and more exciting each year at 24/7 Adam Lambert. Oooh-la-la! Whoa! 939 ! Looks a bit Admin Fan's tricks. lwl! Happy Birthday Lam-My. Hope you had a beautiful day & wishing you a great year & beyond. Thank you for your birthday greeting "a great year and beyond"! and the videos, a massive Rock in Rio crowd. AdminFan or maybe Admin as she too fancies numerology I recall ... if you had anything to do with the above numbers...11 and 22 are called Master numbers, I think you know since they look quite deliberately planted lol! Very powerful, yet can be very destructive; they are double in strength, signify power and change. 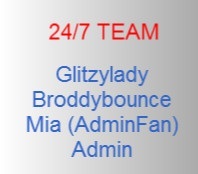 Hey AdminFan ... 11:47 Super Bingo! Well well you know lwl! BTW .. I really enjoyed your latest poem!! Truth in Poetry!! Great Job!! GOD Bless You Glam Sister!! "The 40 greatest 'American Idol' performances of all time" by Lindsey Parker. She's a big fan of Adam so it's no surprise that she has placed him in the number 1 spot. This was probably the most polarizing performance on Idol, and definitely the most exciting. Love him or hate him, Adam knew how to get people’s attention, sometimes get people downright angry, and make those who were faint of heart and/or feeble of mind squirm in their support hose — all very good things in the world of rock and pop. On this fateful night, Adam took a strong stance, making it clear that he planned to stay true to himself, even if that meant freaking out Randy Travis with his Goth manicure or refusing to “go country” on Opry Night (though I think black-clad country maverick Johnny Cash would have appreciated this remake). Many Glambert performances — “Mad World,” “Tracks of My Tears,” “Whole Lotta Love” — could’ve made this list, but “Ring of Fire” is the one that really put Adam on the glittery map. There's also a video clip of Adam singing "Ring of Fire". I was wondering why you didn't come in because every year we wish each other; 7 Mar and 8 Mar. I did wish you on another thread where you were quite down due to your little great grand daughter's illness. You sound much better, Skylynne's health must have improved. Happy Birthday Tess! Thanks for liking my poem. Timeslot finally gave me 38 in the time lwl! Happy Birthday Lam-My! I wish you happiness and much inspiration in the future. Mirela...Thank you very much! Yes "inspiration" a very powerful mover of our brain to act.I I found that out quite by accident that I love writing and it gives a lot of joy to me every day. I've written all sorts of reports in a work environment but never realised writing can give tremendous joy and peace of mind, so stimulating. This particular opening of my eye in the mind is brought on by Adam and for that I owe him quite a lot! Thanks Mirela. DRG... Thank you very much! Yep "passion" is fire in the soul, it's love actually and the energy we need to feel deeply and bring out what we've got and pass it on. Those Queen 'old folks' have a ton of it to Rock their stuff and Adam is milking it...and vice versa. DRG, your birthday wish to me is special cuz we have known each other from the very start on 24/7 ! Thanks. AdminFan or Admin...when I saw the time 3:38 under Tess' comment, I stared at it for a long time but couldn't pinpoint its real meaning. 8 (my date of birth) 3 (month) 3 (year of birth which I never mentioned before, yet you have reduced it accurately to 3 in numerology term). My life path number is therefore: 8+3+3=14 (1+4) a number 5 person...accurately shown in the 3:38 timeslot above. Thank you Everyone! I shall keep this Thread to remember all of you! Hope to meet you on my next birthday 8/3/2019 Ooooh-la-la! Happy Birthday @Lam-my. All my best regards to you! Yes!! Lam-My .. I spoke with my grand daughter yesterday & she was in such a different & brighter mood .. our sweet Angel Skye is starting to gain weight again & I could hear her cooing in her mommy's arms. My heart leapt right to my throat .. I don't think I can describe how I felt!! GOD IS GOOD!! And all my Glam Sisters have been sending me & Skye beautiful thoughts & prayers!! GOD Bless you ALL!! Unlike the rest of our Glamberts .. when I watched ADAM's Ring of Fire that night .. I was very concerned for him knowing the mind set of country music fans ... they are very protective of their ICONS too & Johnny Cash is one of them!! I enjoyed it .. I agreed with Randy .. It was Hot, Fresh & Young & I was so relieved to hear the audience's reaction. It certainly set him far above the rest in his upward climb on the ladder that led him to his World Wide Stardom!! BTW ... if the baby continues to improve both mommy & baby will be going home this Monday!! Yes, Tess, I could hear your normal aggressiveness in your first comment lol! and I knew your little great grand daughter's condition improved. With regard, Ring of Fire, after I heard it on AI live broadcast, I thought Whoa! To me it was like a new song because I wasn't too familiar with the Johnny Cash version. And so I thought it was very good...had some eastern/Indian sitar accompaniment, quite original. Then, our Friend said the people in Nashville would throw their tv out the window! That made me doubt my own judgement, that maybe something wasn't right about Adam's performance. But on the S8 AI tour at Grand Ole Opry, Adam got a standing ovation for Ring of Fire. Take care! Don't exert too much.